We have a good selection of history books for sale in the museum. Click on the links to see pricing & postage information. We ship worldwide. They make ideal Christmas presents (particularly our special offer bundles). 79 page introductory history to Dungarvan includes notable personalities, walking trail, street names. A comprehensive history of Waterford during the turbulent and extraordinary years of the Irish Revolution. For almost 20 years Julian Walton has delighted his radio listeners with anecdotes about things that happened in and around Waterford. 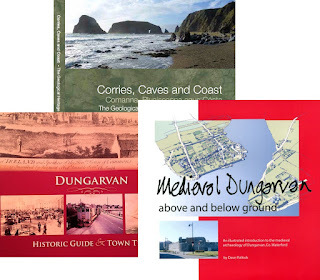 An illustrated introduction to the medieval archaeology of Dungarvan. This photographic voyage takes us through two centuries of shipping and ship building in Waterford, from the Suir to the Blackwater. 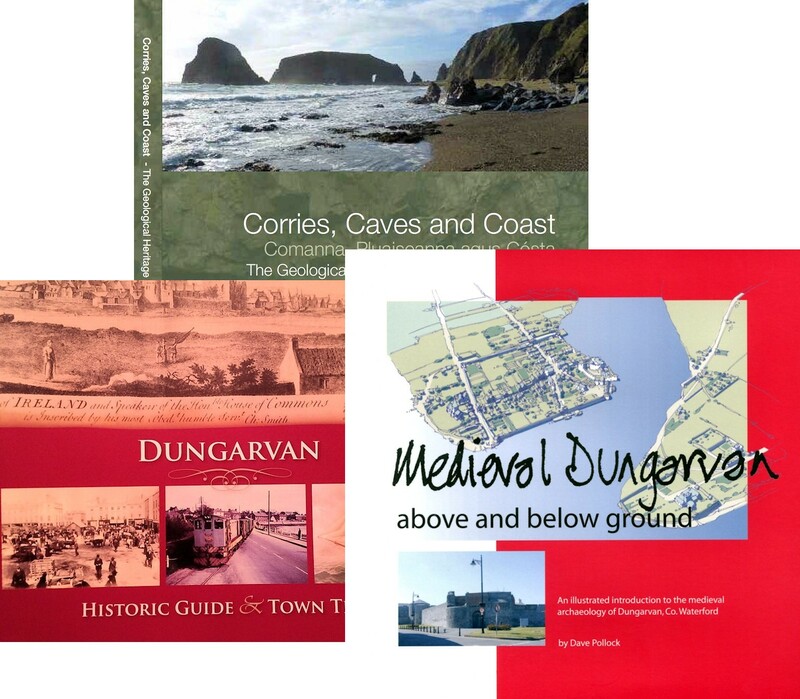 A history of mining in Bunmahon and the Copper Coast. Other titles available. Contact us and the staff will be delighted to assist in any way.